Let you work efficient and felt eased. 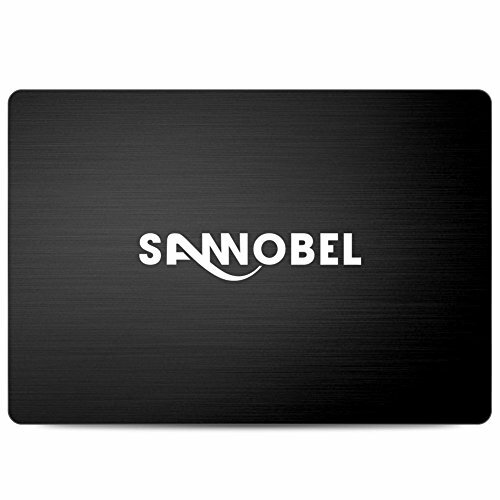 Sannobel has designed SSD drive shock- and vibration-proof with compatibility fit most desktops, PCs and laptops. G Plus is ideal for game players ultra-slim mobile computing. Powered by advanced SMI controller and 3D NAND flash, the internal ssd drive delivers high transfer speeds that enable short boot time, fast application loading and quick file processing, making it ideal for typical PC workloads such as web browsing, emailing, casual gaming, office productivity, and audio/video entertainment. Multiple Techniques are supported. S.M.A.R.T. monitoring system and ECC technology are equipped to promise higher data transmission safety. NCQ support manages multitasking workload to higher filing efficiency. TRIM technology enables data processing and wear-leveling. Bad Block Management can continually monitor and replace bad blocks to keep your system in good condition with prolonged lifespan of a SSD. The Sannobel SSD G Plus comes with simple step-by-step instructions and cloning software to help you easily set up your new drive. Based on "out-of-box performance"，speed may vary due to host hardware, software and usage. Actual available capacity for data storage is less than as listed on the products due to formatting and other functions. If you have any questions about this product by Sannobel, contact us by completing and submitting the form below. If you are looking for a specif part number, please include it with your message.